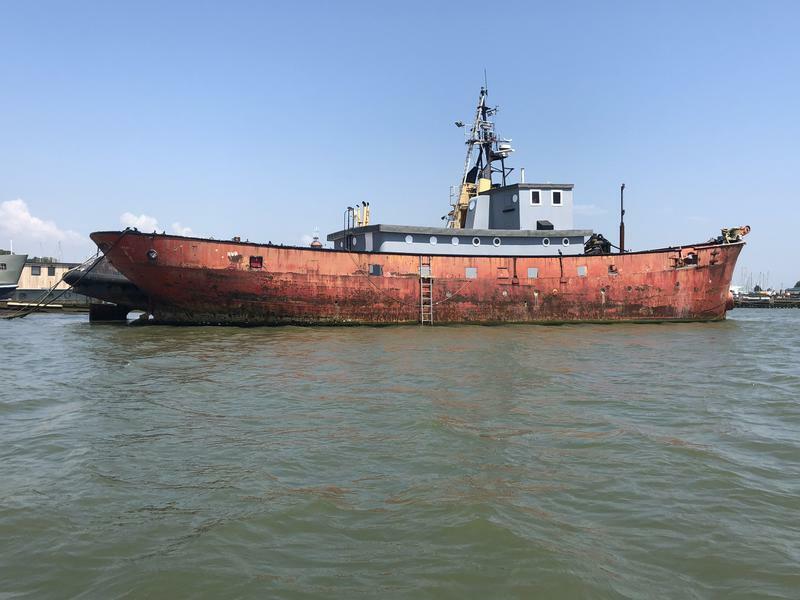 Premier Houseboats are pleased to present Albatross, an historic Lightship that has been cleared out ready for conversion into what could be a stunning home.Albatross has already had extensive work done externally, where the entire outside area has been replaced and made very much a usable space. Internally there has also been a lot of preparation work ready for the conversion, which due to a change in circumstances is now no longer viable for the current owners.Built by Henry Robb Ltd of Leith, Scotland, she is thought to be the last surviving ship from this admired shipyard. Internally, the space for conversion is immense, and could create an amazing family home. There are lots of materials onboard to help the conversion process, and compliment the work already done, including Jablight insulation, various sizes of timber (4x2 & 6x2), large amount of new wiring, 6 sheets of 18 mm ply wood, large amount of pipe work for drainage, and fitted kitchen units from Howdens. There is a survey from November 2017 available.The boat is currently moored at Port Werburgh on a residential mooring, but it is not it's long term mooring and there is limited access. Port Werburgh would be looking to put her on her permanent berth by the end of the year. Therefore, and included in the sale, is an 18' Wilson Flyer with a 60hp Mariner outboard to assist in gaining access to the lightship. This has been rewired and has new seats, consoles and fuel lines. It comes with 2 anchors with chain and rope, 2 x 22 Ltr new fuel tanks, 2 Life jackets, 1 Life ring and a spare prop. The opportunity offered by Albatross is huge, and with the majority of the hard work done it is now a case of fitting her out to become a dream home. Vessel name: Albatross Vessel condition: Good Builder: Henry Robb Ltd Year constructed: 1925 Length over all: 115' Beam: 23' Maximum draft: 10' Hull material: Iron Hull type: Other Disclaimer Premier Houseboats offers the details of this advert in good faith as it was presented by the seller or his representative but cannot guarantee or warrant the accuracy of this information nor warrant the condition of the described item within this advert. A buyer should instruct his agents, or his surveyors, to investigate such details as the buyer desires validated. The Item described within this advert is offered subject to prior sale, price change, or withdrawal without notice.